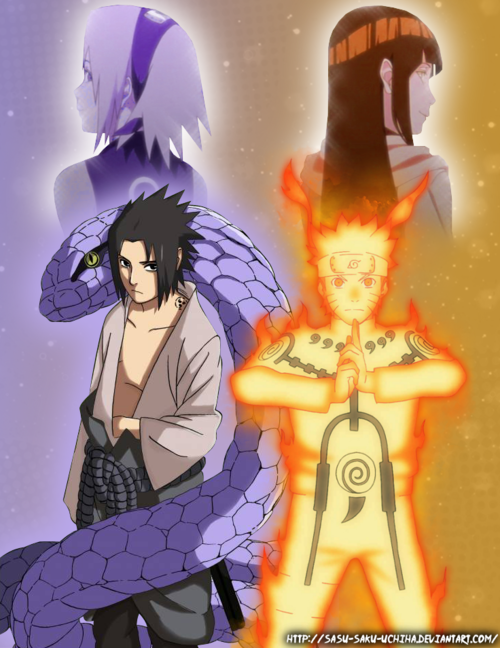 Sasuke and Sakura, Naruto and Hinata. . Wallpaper and background images in the Naruto club tagged: photo naruto shippudden character sasuke uchiha uzumaki shinobi friends enemies sakura haruno hinata hyuga. 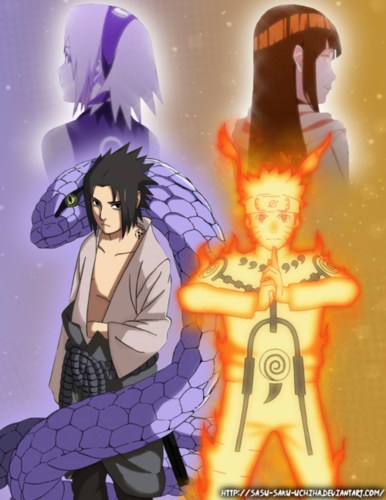 This Naruto fan art contains anime, grappig boek, manga, cartoon, and stripboek.